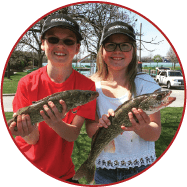 FISHBUOY is all about helping people of all ages make the most of their outdoor fishing adventures. 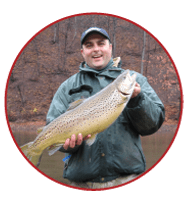 We understand that fishing demands time and money - and not everyone has both! That's why we developed FISHBUOY. The world's first software platform that combines real-time water, weather, fish biology and fish catch data into a single, powerful mapping and visual environment. What makes FISHBUOY unique is that it includes FISHBUOY Mobile to help you capture your fish catches and build your own digital fishing diary that you can keep private, or share with your fishing buddies. With FISHBUOY, you can now better plan your fishing trips better using actual real-time and historical data to drive your decisions! We Focus on Physical and Biological Sciences! Our core focus is providing relevant and timely information to help fishermen make better decisions. We do this by helping fishermen gain a better understanding on how fish think. From learning about environmental conditions that influence fish feeding behaviour, to finding the best places to fish based on physical and biological conditions, FISHBUOY provides the in-field and at-home technology to help you catch more fish. At home, FISHBUOY TripPlanner helps you find the best places using our proprietary fishing forecast algorithm called the Fishing Success Index (FSI). FSI pulls millions of fish location records provided by fisheries agencies from across North America, and identifies the places mostly likely to have active fish. Simply select your fish species and hit FIND FISH to locate places on a map where you have the highest probability of catching a fish. In the field, FISHBUOY Mobile helps you capture a photo of your fish and so much more. With each photo you take, FISHBUOY automatically captures real-time water, weather, location, species and fish catch information and stores it to your account. After a few trips, you will begin to learn what makes fish bite and where to go! We've built the technology, isn't time you started catching more fish? Over the past 30+ years, I've fished for virtually every freshwater sports species of fish across North America and Europe. During this time, I gained perspectives from many types of fishermen with varying levels of experience. As a youngster working at a local fishing store called Natural Sports, and later during University working for J&P Fishing Charters, I had the opportunity to really dive deep into fishing techniques and learn from my fellow tribe. From down rigging the Great Lakes for Trout, Salmon and Walleye, and hitting the creeks across Algonquin Park for Lake Trout and Brook Trout, to fly fishing Colorado, Alberta, Ontario and Germany for Cutthroat's, Browns, and Mountain Whitefish, I've been fortunate to gain perspective on how water conditions truly influence fishing success. How many times have you planned a fishing trip and booked time off work, just to get to your favorite fishing spot and find out the water conditions were off or the fish were not in yet? How many times did you buy fishing tackle based on conditions you thought you would find in the field? When you arrive you realized your purchases didn't match water conditions. 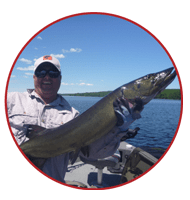 Have you ever wondered what the water conditions were on your past fishing trips that led to good fishing or poor fishing. Many fisherman plan trips around specific dates yet forget about the major influence water conditions have on fishing success. I am sure many can relate to these questions! Over the past 16 years, I worked for several internationally recognized environmental technology firms that focused on developing software and sensor technologies for water management. These technologies included 2D/3D modeling and simulation of surface water and groundwater flows, collection and management of time series data for water levels and water quality, predicting contaminant migration etc. I was responsible for strategic product planning, channel partner relations, technical marketing communications and public relations. We sold our technologies across the world to help people more efficiently manage their valuable water resources. Ironically, the techniques, data sources and technology used to manage water for public and domestic use, can also be used to help fishermen. Given my background in water management software and sensors, I decided in 2014 to follow my passion in fishing and merge my experience to build FISHBUOY. I hope both novice and expert fishermen will see the value in this product line. If you have suggestions or ideas, I am always looking at ways software technology can be used to improve the science behind successful fishing.